To celebrate our 25th anniversary my husband and I went on a beautiful Nile cruise. We booked the trip with Solaris Nile Cruises and decided to opt for the Luxor to Luxor 7 nights and 8 days trip because the option of 4 days seemed a little bit to short for the flight there. The cruise was very well arranged and it was also very comfortable to be able to read the cruise itineray before the actual departure. Accomodation on board was good and there was a lot of entertainment providing the guests with egyptian performances and belly dancing shows. The food was also of high standard and eventhough we could choose to eat during the day it was pleasent to be able to use the cruise restaurant as well. Luxor was beautiful and visiting the temples a dream come true. On our first day we visited the temples of Karnak and Luxor where we also stayed for the night. 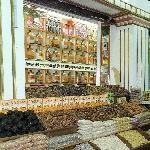 Other stops on the way were Edfu, Kom Ombo and Aswan, all part of well organized day trips staring with a breakfast and including guided tours and lunches. 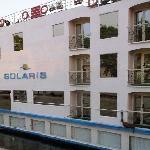 Did you enjoy Solaris Nile Cruise Egypt and have you been on a holiday in Luxor, Egypt?